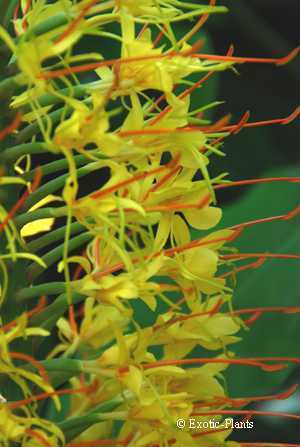 ﻿Hedychium gardnerianum, also called ornamental ginger, butterfly ginger or Kahili ginger, is a shrub up to 3m high with a tropical appearance and large, about 20 cm long, fragrant flowers. 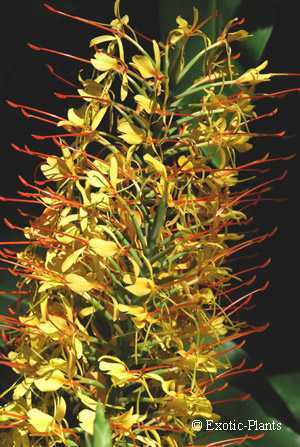 The fruits are strikingly colored orange-red. Hedychium gardnerianum comes from the region, Nepal, Pakistan and the eastern Himalayas and can therefore tolerate a few degrees frost well.